Ambition & strategy - Engineered H2S solutions, H2S risk management, fire safety services, fire safety equipment, breathing apparatus, training provider. Engineered H2S solutions, H2S risk management, fire safety services, fire safety equipment, breathing apparatus, training provider. To be the global market leader in engineered solutions for working safely in hazardous environments. Sabre protect people, preserve assets and improve production through engineered protection and services to ensure work in hazardous environments is universally safe. Phil was appointed executive Chairman of Sabre Safety Services Ltd in February 2017 having spent over 35 years working in the global Oil, petrochem and power generation industries. 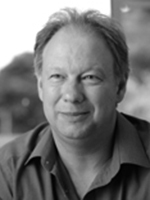 A large portion of his career was spent with Hydratight Limited, where he held many senior level positions and was instrumental in leading the organisation to become a global provider of specialist on site services. His remit is to guide Sabre Safety to broaden its product offering, expand geographically and to target and integrate strategic acquisitions. In addition to Sabre Safety, Phil also serves as chairman for Safehouse, Sabre’s sister company and provides consultancy services to a number of oil and gas related businesses and investment groups. 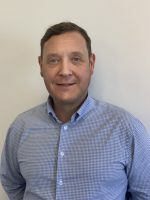 Rick was appointed Finance Director of Sabre Safety Services Ltd in February 2017 and is CFO of Starn Energy Services Group, of which Sabre Safety is a subsidiary. His remit includes ensuring that Sabre Safety has the people, systems and controls in place to sustain its global presence and to support its drive for organic and acquisition-led growth. For six years prior to joining the team at the Starn Group Rick was Group Finance Director at Reservoir Group, where he oversaw more than 20 acquisitions and led the corporate team during its private equity-backed ownership. As CFO at ALS Oil and Gas during 2013, Rick oversaw the effective transition of the corporate functions of Reservoir Group into ALS Limited. Rick was previously a partner for over 15 years with KPMG, specialising in audit and assurance services, but also has significant experience in M&A activity. He is a trustee of Dundee Heritage Trust, a charity that owns and manages two independent museums in Dundee. 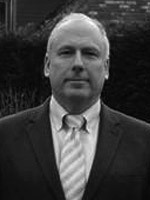 Business Development Director John has been involved in the safety industry since 1982 when he worked in Hampshire manufacturing gas detection equipment, breathing apparatus & offshore survival equipment. Following an approach by BP to his company a few years later, he was involved in supplying the first low pressure distribution cascade system for protection against H2S in the North Sea. He jointly managed this new business in its initial years and was promoted to General Manager in 1990. The business went from strength to strength establishing international operations in Europe, North Africa & Asia Pacific. Since then, John has continued to demonstrate his strong customer service and organisational skills holding a number of senior management positions both inside and outside of the safety industry. 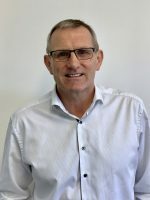 John was appointed business development director of Sabre Safety Services in early 2017. He is passionate about the Sabre business with its innovative approach and high standards that make it a success. He hopes to play a key role in achieving acknowledgement for the company as the global leader in its field. Calum has joined Starn Group to head up all commercial aspects of the group globally. Prior to joining Starn Calum spent over 19 years in the oil, gas and energy industry in a number of senior and leadership roles, most recently as executive director for Score Energy.